President Trump goes off on Fake News at CPAC. Geraldo looks at the danger of Press Secretary Sean Spicer's selective press briefing, and ensuing boycott by major news publications; sends condolences to dearly departed colleagues Alan Combs and Brenda Burner and compliments the Presidential Cabinet's handling of the immigration crisis despite the angry rhetoric. As President Trump’s Executive order on immigration goes into effect, Geraldo talks about how we came to this point. The border becoming an issue after 9/11, outrage when two pretty teenage girls were killed in a 2007 DUI crash by an undocumented immigrant in Virginia Beach prompting his emotional debate with Factor host Bill O’Reilly over sanctuary cities and his book “HisPanic: Why Americans Fear Hispanics in the U.S.” And Geraldo contemplates what will happen when authorities attempt to round up 10 million illegals? 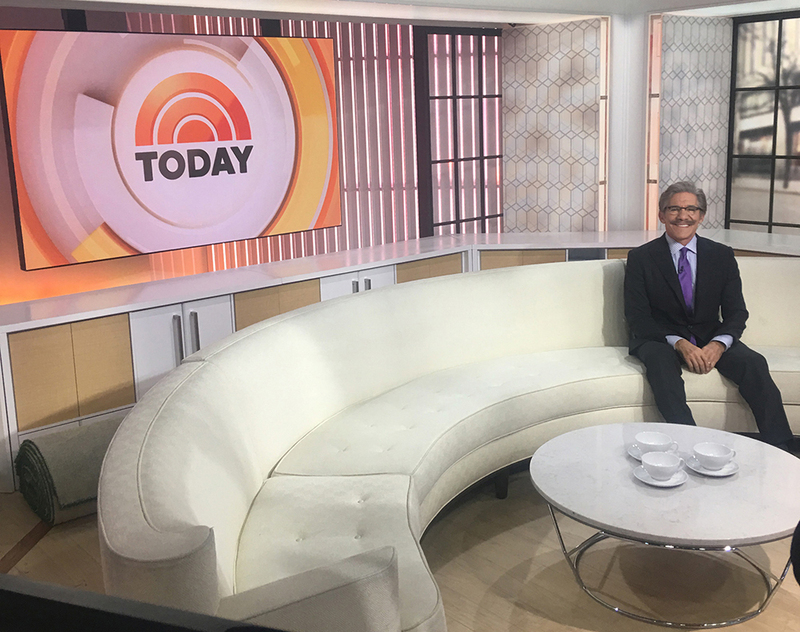 Geraldo also talks about the latest spate of anti-Semitic attacks and President Trumps response. Geraldo discusses President Trump’s wild Wednesday press conference, Trump’s accusations of Fake News to major media groups, the Russian connection, the President’s defense of perceived “Chaos” in the White House, his first Latino cabinet pick and Geraldo grades the 45th Presidents’ to date performance. Geraldo also talks about his feisty appearance with Bill O’Reilly on the Fox News Channel’s O’Reilly Factor where he spars with the host about leaks to the press in the Trump administration. Geraldo examines the reason behind the latest flurry of ICE raids against "Illegal Aliens." Are they really rounding up drug dealers, murders and domestic abuser, or did the agents go after softer targets like Guadalupe García de Rayos, 36, a mother of two who has been here since she was 14-years-old. Arrested when she checked in with her parole officer as she had done since 2008 for the minor offense of using a fake social security number in order to provide for her family. Are these arrests retaliation on areas taking a stance on Sanctuary cities? Also, General Michael Flynn resigns when it is revealed he mislead Vice President Pence about talks with the Russian Ambassador. Did he also Mislead President Obama while he was still in office about his Russian connection? Fox News Senior Correspondent Geraldo Rivera examines the latest legal and ethical challenges that the 45th President of the United States faces in his third week of holding office. Reaction to the temporary travel ban on people coming from 7 majority Muslim nations, Ivanka Trump’s shoe line being discontinued from Nordstrom stores in an apparent political rather than a business decision, and the nomination of Neil Gorsuch to the Supreme Court.